This 4 bedroom, 4 bathroom modern air conditioned/heated property is situated in the heart of La Manga Club, just minutes walk from the tennis centre and restaurants. 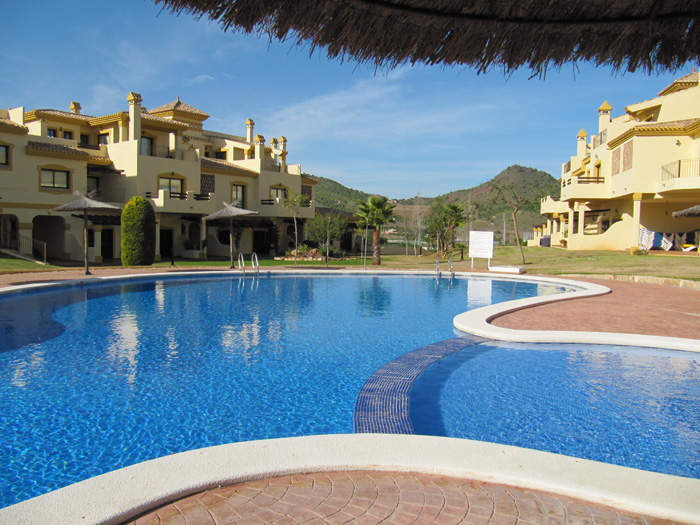 The community pool is within view of the villa, which is ideal for families with children. There is free wifi internet access. Lounge/Diner: Sofas and other furniture, satellite TV, video, cd player, dining table and chairs, with access to outside patio with table and chairs and sun loungers. Kitchen: Oven, hob, dishwasher, microwave, fridge/freezer, toaster, kettle. Master bedroom: King size bed (can be split into 2 singles), bedside cabinets and built in wardrobes. En-suite bathroom. Bedroom 2: Double bed, bedside cabinets, built in wardrobes access to terrace. Bedroom 3: Twin beds, bedside cabinets, built in wardrobe. En-suite bathroom. Bedroom 4: King size bed (can be split into 2 singles), bedside cabinets, built in wardrobe. En-suite bathroom. Games room: with table football and table tennis. 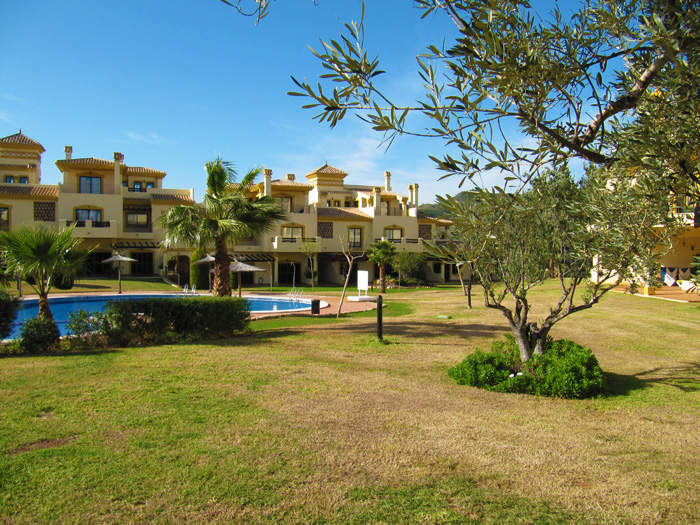 Modern spacious semi-detached villa in La Manga Club Resort, fully air conditioned. Private terraces, games room, free wifi access and use of community pool and lawned gardens. Professionally managed in the resort, the keys to the property can be collected 24 hours a day. Prices include linen and towels, including pool towels and welcome grocery pack. MINIMUM RATE 4 NIGHTS – FOR BOOKINGS OF 5 NIGHTS OR LESS A NIGHTLY RATE APPLIES: LOW SEASON £205.00 PER NIGHT / MID SEASON £290.00 PER NIGHT / HIGH SEASON (MINIMUM 7 NIGHTS IN HIGH SEASON). Saturday to Saturday rentals preferred in July, August and other popular periods, although other stays are considered, please enquire. 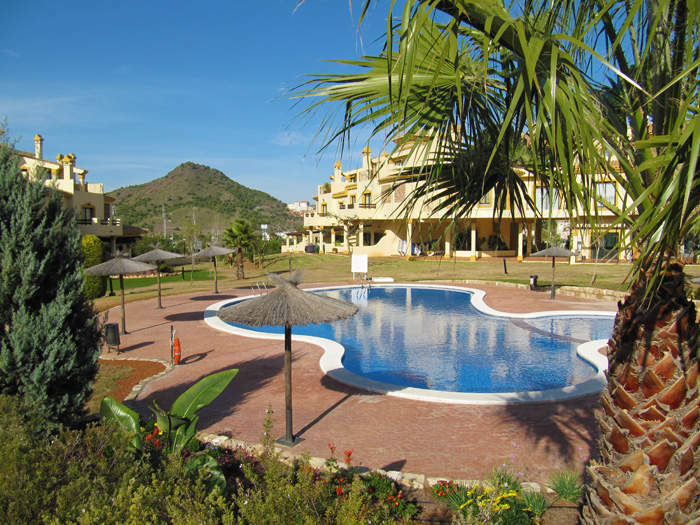 While every effort is taken to ensure these details are accurate, property description and facilities are subject to change without notice and Cream Resorts and Rent La Manga Club cannot be held responsible for their accuracy. All availability shown is subject to final confirmation before accepting a firm booking.